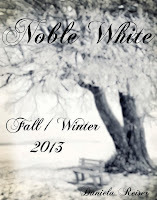 Blanche Macdonald - Redesigning the Edelweiss: “Noble White”. There is an old legend about the Edelweiss flower. The Snow Queen, upon a crystal throne guarded by ruthless goblins, waits for a love she has yet to believe in. Stories of her beauty spread far and deep into the hearts of many doomed suitors, who dared to proclaim love for the queen. Hundreds of men venture to the throne, only to be thrown in to the abyss by goblins. The ice in her heart unyielding while the suitors die before her. It was not until a timid hunter presented himself before her He was silent because she was the most beautiful; and he knelt before her for days, because his love is action not a demand. At this, the queen’s heart stirred for the humble hunter. But the jealous goblins will never allow such a marriage, and in an act of defiance viciously hurled the hunter in to the abyss. The Snow Queen helplessly watched, feeling love for the first time. For him, the queen wept; and from those tears bloomed the Edelweiss flower, white as the Alps and lonely as she. So the fairy tale of the Edelweiss goes on and on, but in many different ways. As a new designer, Daniela Reiser is also on a life-long venture towards her passion. Born in Calgary, Canada, then moving to Switzerland, Reiser’s journey has afforded her a unique Swiss-Canadian style. But regardless of where she lived Reiser was a dynamic creative. “I loved theatre and making up stories, written or [performed] with my cousin. We acted like we were different characters. Our Grandma had an attic full of costumes, along with her wedding dress. We were allowed to go up there and dig through all the suitcases and closets full of clothes, shoes and accessories. I also loved doing crafts which my Aunts often did with us, I learned how to silk paint at 8/9 years old, how to knit and how to make other stuff…” Even past high school, her artistic curiosity pervaded, which would then include gardening, painting, woodwork, sewing, cooking, music and more! Of all crafts Reiser engaged in, it was a strong sense of fashion that had somehow gripped into her persona. As a child, she was known to hover over the television screen, commenting on the prettiness or ugliness of dresses. She was also strongly opinionated and protective of her own image. “I recall my mother never being allowed to touch my hair, or tell me what to wear. I would wear the oddest outfits that not in a million years would ever go together but they let me express myself. [Mother] just wouldn’t dare start a fight with me.” For a time, this remained unnoticed, and she pursued a business degree. Moving to Vancouver, Reiser eventually pursued fashion design in Blanche MacDonald. When and how she decided to attend the fashion school seems mysterious. Everything just magically fell in to place. Within a year, she absorbed what seems like a career’s worth of fashion skills. “With lots of dedication and commitment I wanted to do everything I set my mind to. During the past year I either learned in school, or taught myself Adobe Illustrator, Photoshop, how to pattern draft, draw, source fabrics, notions, write a business plan and how to write a press releases.” In addition to the practicalities, she also took up the fashion literature encompassing one thousand years of fashion. But she didn't mind. She was mesmerized with fashion, as she avidly reads about the design houses, wondrous as the castles in fairy-tales and of the legendary designers who rule it. Reiser graduated with a stunning collection entitled, ‘Noble White’. “The “Edelweiss” (in German, meaning “noble white”) flower inspired the collection for its uniqueness and strength—a symbol of eternal love and tragedy. 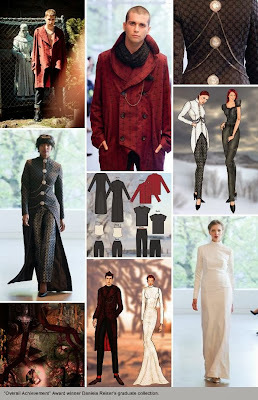 Influences in this collection are rooted in the history of Swiss traditional dresses as well as the Edwardian/Victorian era.” The color palette itself emulates the stuff of fairy tales: silver and white for snow, black for the abyss, and red for love and blood. 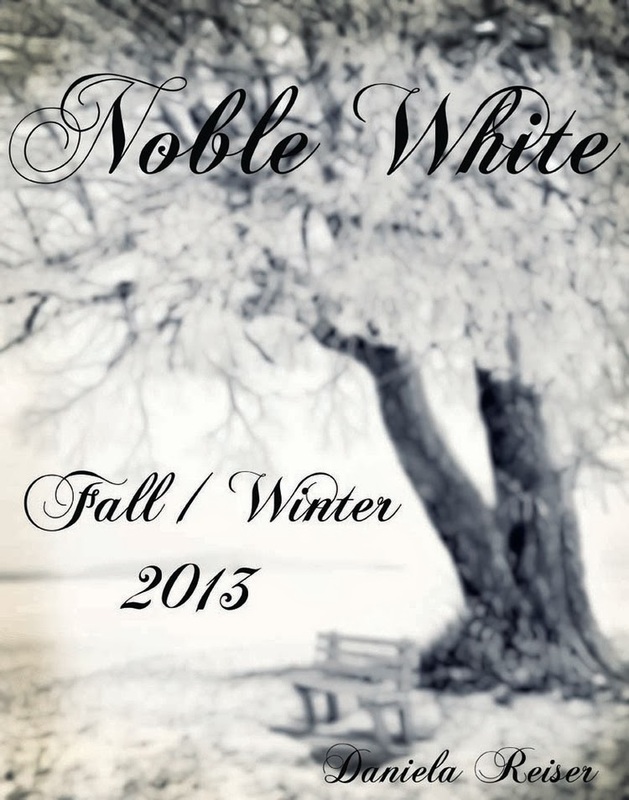 ‘Noble White’ features three romantic outfits inspired by the legend of the Edelweiss. The stunning ‘Noble White’ dress, a gown worthy of a queen, contains hand beaded Swarovski crystals upon the floral pattern. For menswear, a long, button-down coat of red and black, the look of an enamored hunter. And finally, Reiser’s own favorite look, a patterned black jacket over lace pants; a look that is neither Snow Queen, nor hunter, but someone uniquely both. The strength and elegance of this look makes it a hit among friends and buyers, who immediately want to buy the jacket. For more on Daniela Reiser or to contact her, please visit her website - 47th Parallel North. 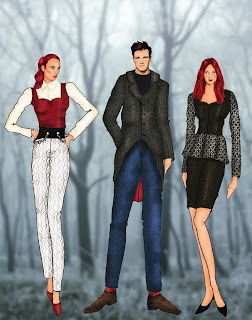 To check out the fashion design program at Blanche Macdonald go to - http://www.blanchemacdonald.com/fashion/.